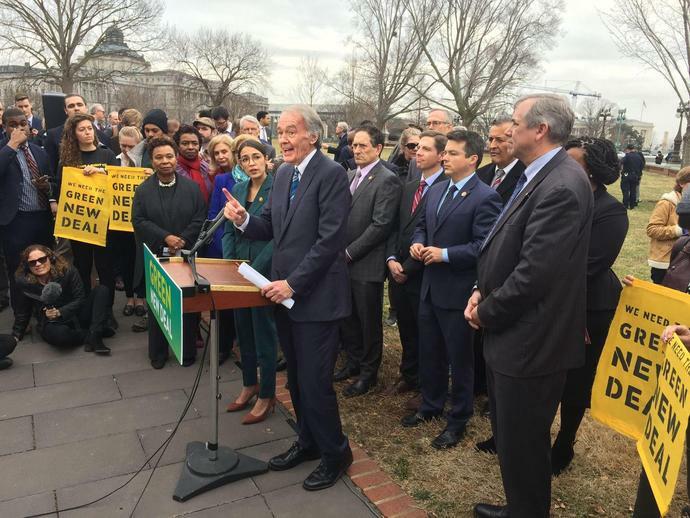 WASHINGTON - Rep. Alexandria Ocasio-Cortez and House Speaker Nancy Pelosi displayed a united front on climate change Thursday despite signs they differ on an ambitious plan to remold much of America's economy known as the "Green New Deal." And she indicated the plan, which she referred to as "the green dream or whatever they call it" in an interview with Politico earlier this week, would not get special consideration. Asked if the speaker was OK with Ocasio-Cortez' decision to not serve on the panel, Pelosi spokesman Drew Hammill responded: "Of course, it's her decision."